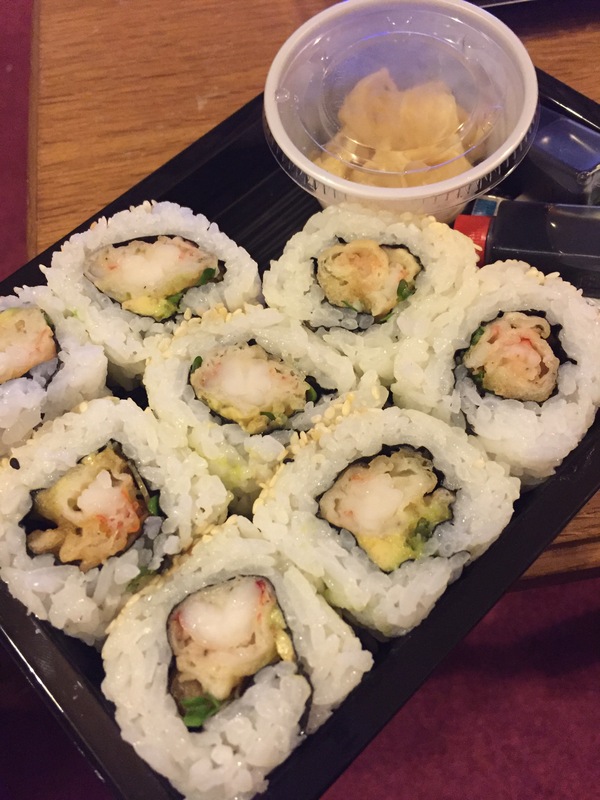 Treated myself to a sushi takeaway after work. 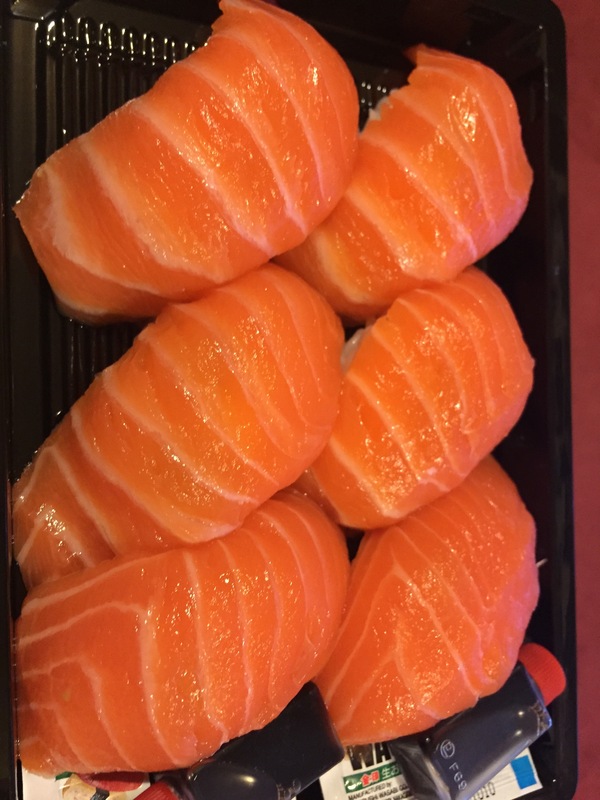 Ordered the salmon belly roll, green dragon roll and 6 pieces of salmon nigiri. 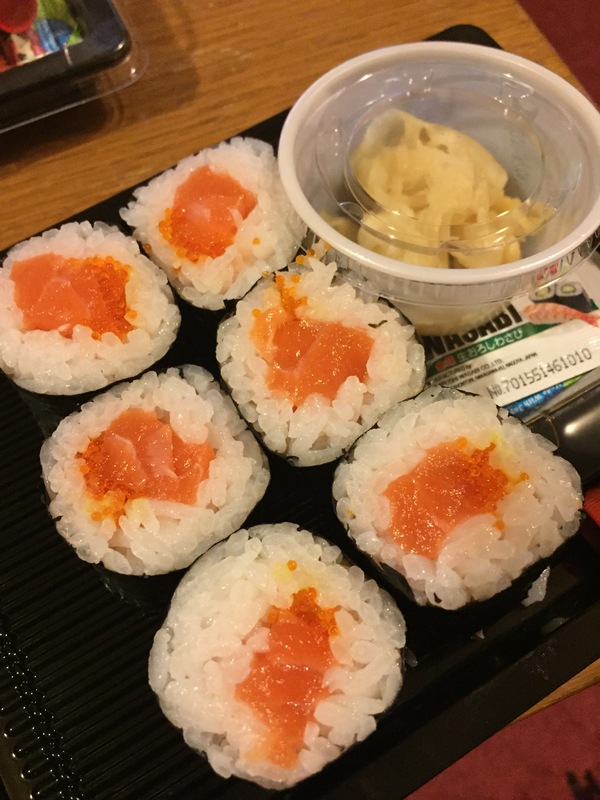 I used to never eat the ginger that comes with the sushi but now I really like it and use the leftovers with hummus and toast. I think it works. The OH doesn’t think so. The sushi is pricy enough but it’s worth it every now and then!